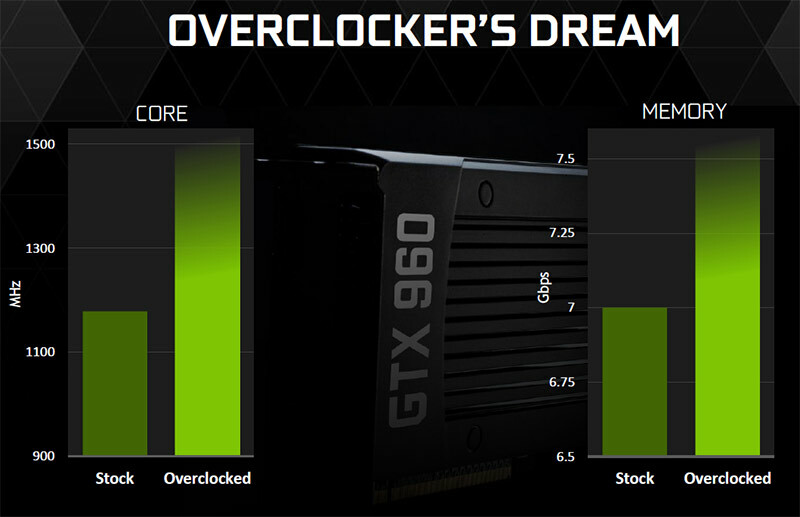 NVIDIA has had tremendous success with GeForce GTX 980 and GeForce GTX 970 video cards. NVIDIA has sold over 1 million GTX 980/970 cards since their introduction in September 2014. Saying that Maxwell has been successful is an understatement as no other flagship GPU surpassed the million sold mark so quickly. 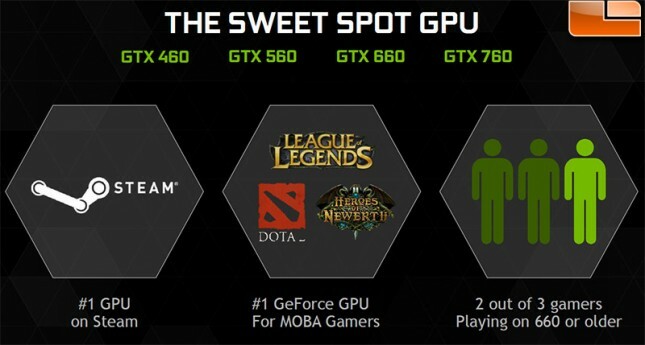 NVIDIA hopes that success multiples as they roll out Maxwell to the sweet spot, which means the $200 price point. Yes, the NVIDIA GeForce GTX 960 2GB video card will be priced at $199! In comparison, the NVIDIA GeForce GTX 760 was priced at $249 and the GeForce GTX 660 was priced at $229 when they were introduced in previous years. NVIDIA is giving gamers more performance and power efficiency than ever before and they are doing it while lowering the price point! Not bad considering the GeForce GTX 960 video card uses the new GM206 Maxwell GPU that also brings new features like MFAA, Dynamic Super Resolution and VXGI to the table. 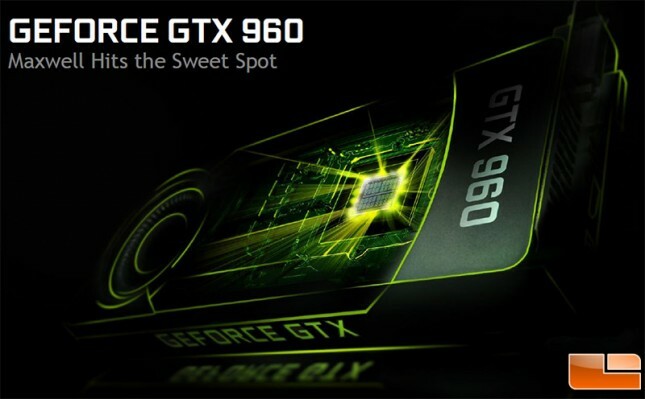 The NVIDIA GeForce GTX 960 specifications leaked out over a week ago, but at least now we can confirm what they are and talk about them. 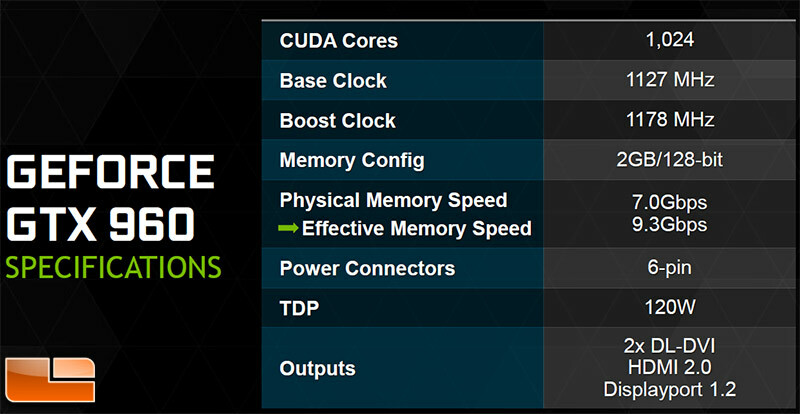 The NVIDIA GeForce GTX 960 2GB video card has 1,024 CUDA cores that are clocked at 1127MHz with a boost clock of 1178MHz. 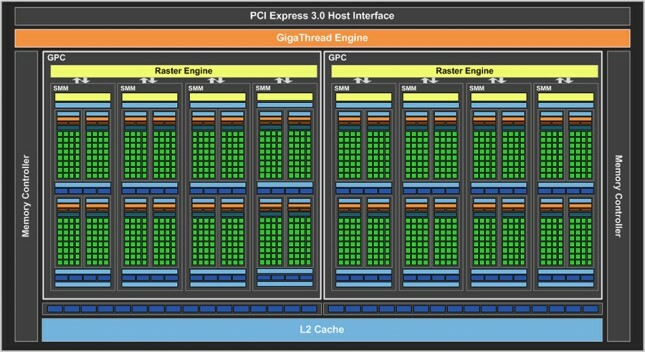 The 2GB of GDDR5 memory is clocked at 7.Gbps (7000MHz) and does indeed run on a rather narrow 128-bit bus. This means that the GeForce GTX 960 is capable of 148.8GB/s, which is slightly better than say the 144.2GB/s seen on the GeForce GTX 660 with 2GB of GDDR5 memory at 6.0Gbps on a 192-bit bus. 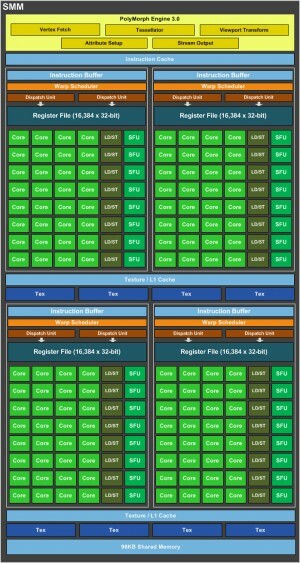 NVIDIA has done an overhual on the memory subsystem on the GM206, so the effective memory speed is actually 9.3Gbps. This is due to the fact that NVIDIA is now using a third-generation delta color compression engine with new modes for color compression, allowing the GPU to more effectively use its available memory bandwidth. So, at the end of the day the refined GM206 GPU uses roughly 25% fewer bytes per frame compared to prior generation Kepler GPUs, so it can get away just a 128-bit bus. Other key specifications on this card would have to be the rather low 120W TDP, the use of just a single 6-pin PCIe power header. The 120W TDP rating might is actually pretty high as NVIDIA says that most games will never draw that kind of power on a GTX 960. For example if you are playing a title like League of Legends at 1080P with max settings and Vsync on the power draw of the card will be just 30 Watts and many retail cards won’t even need the fans spinning at those low power levels. NVIDIA has worked on the fan stop algorithms with GM206, so you’ll see many NVIDIA board partners introducing silent or 0dB cards at idle and with light gaming. When it comes to video outputs you have a pair of Dual-Link DVI’s, HDMI 2.0 and DisplayPort 1.2. NVIDIA knows that gamers love to overclock their video cards, so the GeForce GTX 960 has plenty of overhead left in it to be overclocked well beyond the factory boost clock of 1178MHz and 7000MHz memory clock. Without any voltage adjustments we were told that future GTX 960 owners could easily hit 1500MHz on the core and over 7500MHz in the memory. The GeForce GTX 960 is the first video card to use the new GM206 Maxwell GPU. The GM206 GPU is basically a GM204 GPU cut in half with some minor improvements and modifications done to it. The GM206 is made on the 28nm manufacturing processor and measures 227mm2 with 2.9 billion transistors. The GM206 used on the GeForce GTX 960 is fully enabled with two Graphics Processing Clusters (GPCs) that each have four SMM’s . Each of those have 128 CUDA cores, so that is how you end up with 1,024 CUDA cores on the NVIDIA GeForce GTX 960 video card. Since this is a fully enabled GPU it means this will likely not be the GPU used on a GeForce GTX 960 Ti if a card would ever come to market. 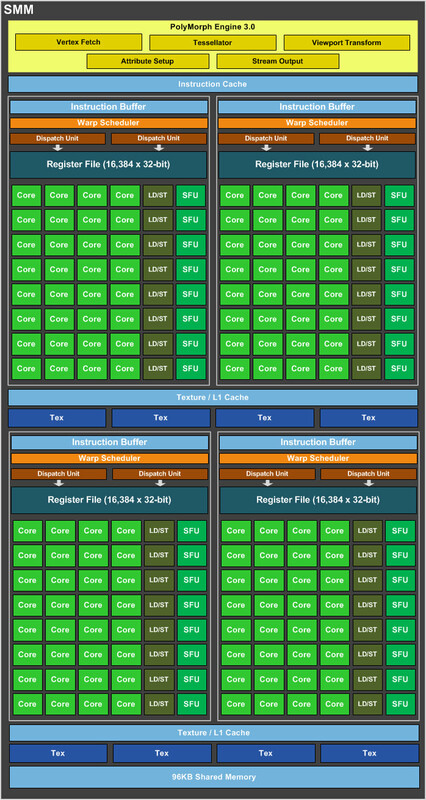 Each Maxwell SMM is partitioned into four distinct 32-CUDA core processing blocks (128 CUDA cores total per SM) and each has its own dedicated resources for scheduling and instruction buffering. To further improve the efficiency of the GPU’s onboard caches, NVIDIA made some changes to the cache hieracry in Maxwell. Each of GM206’s SMM units features its own dedicated 96KB shared memory, while the L1/texture caching functions are combined into a 24KB pool of memory per pair of processing blocks (48KB per SMM). 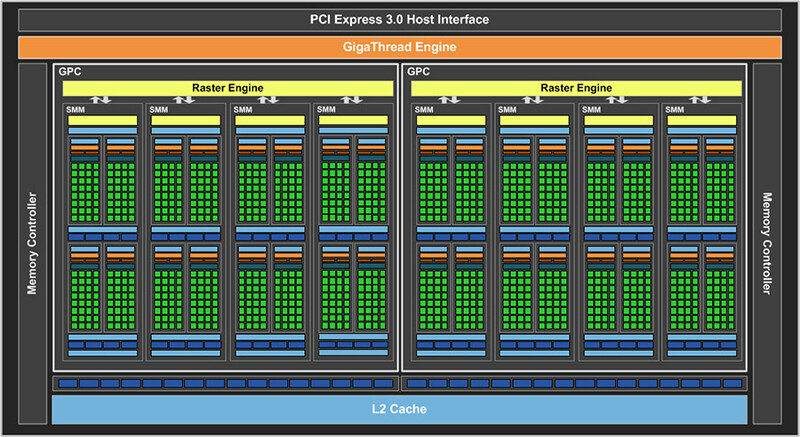 Prior generation Kepler GPUs had a smaller 64KB shared memory function that was also shared as L1 cache. This means that each GM206 CUDA core is able to deliver roughly 1.4x more performance per core and 2x the performance per watt when compared to a GK106 Kepler CUDA core, which was the direct predecessor of GM206. Now that we have the basics out of the way we can take a look at the ASUS STRIX GTX960 and get to the benchmarks!